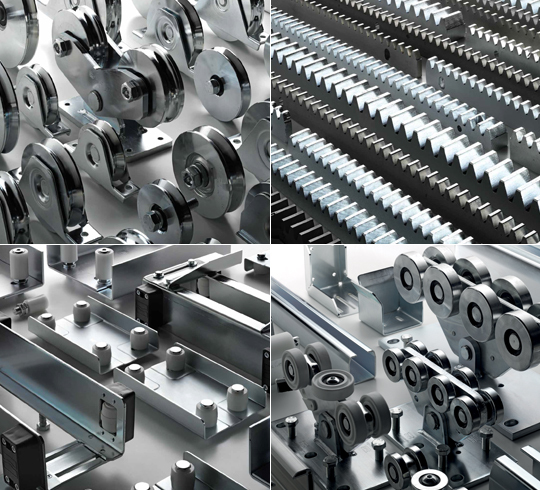 The historical Comunello Gate Division has built a reputation in Italy and across the world for providing the widest range of components for sliding gates and industrial doors of all weights and all sizes. Our vast range of solutions and use of high quality materials including stainless steel and aluminium bring real value to a product offering which is truly unique and which delivers solutions for all gate types, whatever the size. The Comunello CGS350 and CGS250 trolleys are ideal for all cantilever gate types. The Mini versions, for use on residential gates in small spaces, deliver excellent performance in terms of capacity. 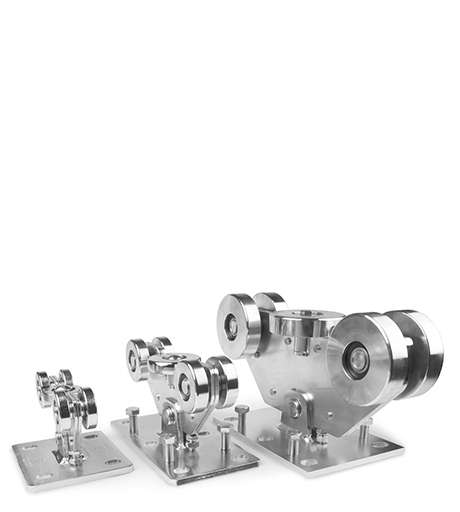 The 350.5-350.8 Carriage High Performance series trolleys have a stainless steel structure that guarantees excellent mechanical performance in very cold climates or environments with a high saline density. The 250 series trolleys structure is cast by perfectly bonding rigid laminated sheets using a technique called spruing. In sliding gates the moving parts and mechanical accessories are essential in ensuring the gate is secure throughout its movement cycle. For cantilever gates we provide the simply the best range of trolley systems. For swing gates we supply a vast range of hinges with patented technologies, meticulous material selection and cutting-edge technologies for all kinds of swing gates. For pedestrian gates we have designed Comlock®, a patented lock system created specifically for this kind of use. 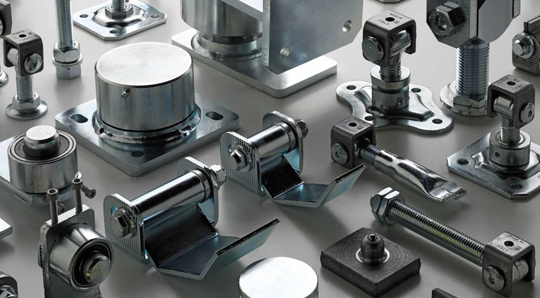 We also supply a wide choice of accessories designed to help with the production of a broad range of both sliding and swing industrial doors. The Company takes its environmental responsibilities seriously and is committed to respecting Health and Safety laws so as to provide a safe working environment for employees. 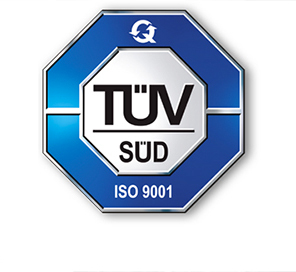 Furthermore, in order to provide a further guarantee and greater control over the quality of the products, the company uses a management system which conforms to UNI EN ISO 9001:2008 standards as certified by TüvSüd.